Any photographer that is serious about his photography there is a need to manage your photos and to change them to fit your artistic vision. What used to be heaps of slides, rolls of film and strips of negatives are now digital files. The best way to organise them for free would be Google’s Picasa. I really like that program. It does a great job. But if you want to take Raw images and take it a bit further you end up looking at Adobe’s Lightroom. Lightroom is just great in managing and catalogueing your photos. But it doesn’t end there. It does a lot more. 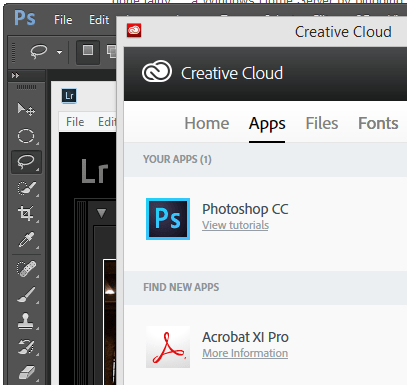 You could almost say it completely replaces that other product from Adobe: Photoshop. Not entirely true as there are still plenty of things that are easily done in Photoshop and hard to do or impossible in Lightroom. The combination is good. If you don’t want to spend a lot of money on your software: Buy Lightroom and Photoshop Elements. That should set you back around a hundred quid (that GBP). Or pay monthly and for just £8.78 you get Lightroom and Photoshop CC. It’s what I got and for about £100 a year I get all the updates and the full versions. Not a bad deal. 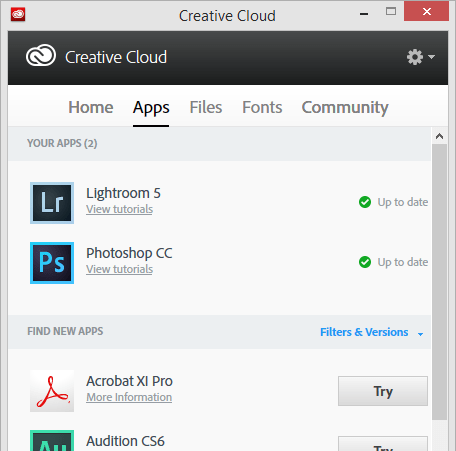 If only Creative Cloud would recognise that I’ve got Lightroom installed too. Closed CC and restarted it. I will be posting more about my experiences with these magnificent tools.